If a person has a criminal record for DUI or DWI that renders them inadmissible to Canada, but they are in the country because they have been issued a Temporary Resident Permit, as soon as the permit expires they are no longer permitted to be in the country and may be considered unlawfully present by immigration authorities. This violation can affect a person's ability to travel to Canada in the future, so it is very important not to let your Temporary Resident Permit (TRP) expire while you are still in the country. If an individual is not in Canada when their TRP expires, they are not in violation of Canadian law but will no longer be able to cross the border with this Temporary Resident Permit since it will not be valid anymore. Temporary Resident Permit holders who are unable to leave Canada before their document expires should consider applying for a new TRP to cover the remainder of their stay in Canada. It is typically not possible to extend a Temporary Resident Permit so obtaining a brand new TRP or getting approved for Criminal Rehabilitation is a common way to continue to overcome criminal inadmissibility and enjoy lawful access to Canada after a permit expires. The expiry date of a multiple-entry Temporary Resident Permit will be clearly visible on the document. Visitors to Canada who have received permission to visit with a DUI but are interested in staying longer than originally intended are occasionally confused between an extension of temporary resident status and an extension of Temporary Resident Permit (TRP). A TRP refers to a document allowing an individual to overcome inadmissibility resulting from criminality, health problems, or an immigration violation such as a previous overstay. On the other hand, temporary resident status refers to the "immigration status" of any non-Canadian citizen that is in the country. In general, visitors from the United States are welcome in Canada for up to 6 months from date of entry unless otherwise specified by immigration officials. Individuals have up to 90 days after the date of loss of temporary resident status to apply for restoration of status (this is not possible if the individual is already outside Canada). Temporary Resident Permits may be extended in special situations but never restored after expiry, and even a person under a removal order may be issued a Temporary Resident Permit extension in certain circumstances although authority to do so is limited to National Headquarters (NHQ). If you believe you will require access to Canada over the long term, Criminal Rehabilitation Canada is a permanent solution to criminal inadmissibility and may be possible provided you completed your sentence five or more years ago. 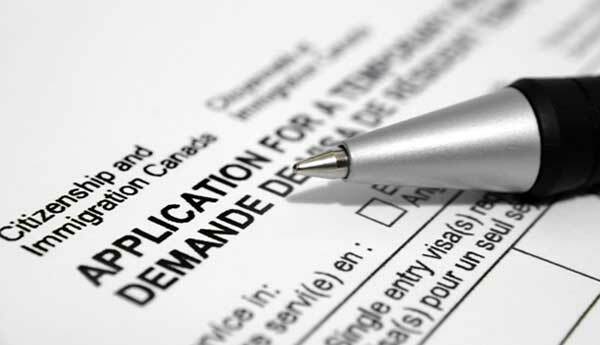 If you finished probation, completed any court-ordered courses or rehabilitation programs, or finished paying any related fine or restitution less than five years ago, your best option might be to request a lengthy Temporary Residence Permit which can be issued for as long as three years and can be good for multiple entries. If a person is eligible for Criminal Rehabilitation, it can fix their Canada DUI entry issues forever, and if not a long-term TRP can allow an individual to cross the border into Canada for several years without ever needing to worry about extending their permit. Please be aware, however, that a 2-year TRP or 3-year TRP often requires a more complete verification of the facts involving a person's case by Immigration, Refugees and Citizenship Canada (IRCC), which was previously called Citizenship and Immigration Canada (CIC). This means it is extra crucial that the application for TRP be perfectly prepared, so it may be advisable to speak with an immigration attorney if you are seeking entry to Canada for more than just a short period of time. A qualified Canada immigration lawyer can help strengthen your application to maximize your chances of successfully receiving a long-term TRP. Going to Canada with a criminal record that is less than ten years old and renders you inadmissible due to criminality may only be possible with Canada Criminal Rehabilitation or a valid Temporary Resident Permit. Consequently, if your TRP is going to expire soon and you will require access to Canada in the future it is crucial that you plan ahead. A legal professional may also help you apply for an extension of Temporary Resident Permit, and can be a major asset if you are currently in Canada with a TRP that is expiring shortly or already expired. To speak to a knowledgeable legal team about extending your Temporary Resident Permit or applying for a brand new one, phone us for a free consultation.